The anagram game that will drive you bananas! 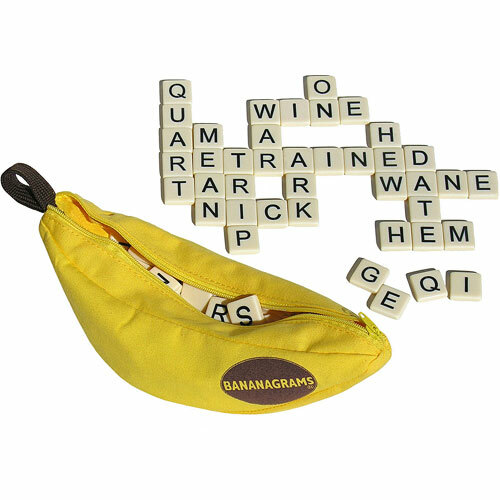 Bananagrams is the award-winning word game that needs no pencil, paper, or board. Players race against each other to build crossword grids and use all their letter tiles first. Bananagrams comes in a small portable banana-shaped pouch so it's great for travel. Measures approximately: 9.00 x 3.00 x 3.00 inches..